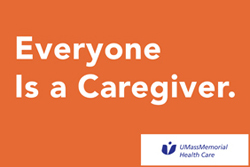 Over the past several months, as in past years, we have conducted a series of caregiver engagement surveys across the system including groups of physicians, nurses and other staff. Engagement is typically defined as the emotional commitment a person has to an organization and its goals. The results of the surveys are used to set priorities as we work to make UMass Memorial the best place to give care and the best place to get care. In 2009, while presenting the results of our first physician engagement survey, one of our long term physicians said to me “Eric – your employees will never be aware of and responsive to the needs of the organization until the organization becomes aware of and responsive to the needs of the employees”. His comment has echoed in my head these last three years as CEO as our leadership team has worked to understand the needs of our caregivers, define our priorities and work to achieve them. How are we doing in terms of engagement? Overall, the engagement results are not good. Although we do have areas with high engagement scores – and those areas should be extremely proud of what they have accomplished – it is clear to me from reading your responses that we have a lot more work to do to engage every one every day. I will not be satisfied until everyone feels fully engaged in and appreciated for the important work we do on behalf of our patients. My promise to all of you is that your leadership team will read every comment from every survey and redouble our efforts to become more aware of and responsive to your needs. You’ll be hearing more over the next few weeks about specific actions we are taking. Thanks for your feedback and for everything you do every day to take great care of our patients and one another.